Hidden gems of Croatia are the islands of Cres, Krk and Losinj. In the northern Adriatic, just south of the Istrian peninsular, the classic Mediterranean idyll is found here with perfect fishing villages, terrific food, wonderful climate, an ancient way of life, and low prices. 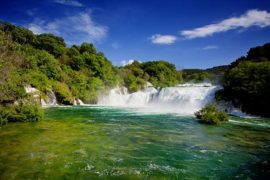 As Croatia’s best kept secrets, you will not be bombarded by other tourists rather you can relax on the uncrowded beaches staring out to the crystal clear Adriatic Sea. 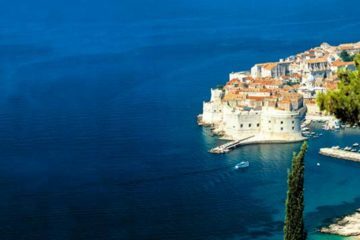 Continental Croatia meets the Adriatic Istria, while the bucolic interior of rolling hills and fertile plains attracts artsy visitors to its hilltop villages, vineyards for miles, rural hotels and farmhouses that are enormously popular to look out onto the sunset. With the astounding gastronomy, you will be dining on white truffles, fresh asparagus and the best wine in the region. As the scent of lavender fills the air you will feel the most relaxed finding you will never want to leave. This tour operates with a minimum of 4 people. Other rates available upon request. After breakfast at the hotel, your guide will bring you to a town in inner Istria, Motovun. This picturesque medieval town has rich cultural and historical heritage, situated on a hill above the Mirna river valley, with a beautiful view of the valley and the famous Motovun forest, habitat of the respectable white truffle. After the visit you will enjoy a presentation of truffle hunting and tasting. In the afternoon, take a visit to a winery to taste the best vines of the region and learn of the production. Depart from the inland of Istria and proceed to the coast to visit the city of Rovinj. This town is one of the most romantic places in the Mediterranean lively with its numerous cafes, restaurants and galleries. Nearby Rovinj, you will visit HIstria aromatica, a once abandoned area that has been turned into a heavenly garden. Visit is followed by a presentation of different products made of lavender. On the way to Pula you will stop in Vodnjan, located in the southwest of Istrian Peninsula, for an olive oil tasting. Then proceed to Pula for a guided tour where you will visit the 3,000 year old famous Roman Amphitheater. Depart from Istria by taking a ferry from Brestova to Porozina. On arrival, meet with your local guide for a visit of Cres Island. From a distance the island appears as a rugged chain of hills; even when you visit the island you often find it bare. 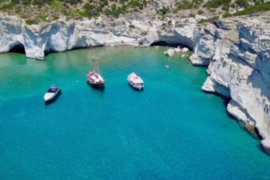 One reason for that is the location of Cres; the island is not protected from the cold wind blowing from the mainland, so there is mainly low-growing vegetation in the western part of the island and only on the eastern side of Cres you can find deciduous trees. A road leads from the north to the south where a swing bridge connects the island of Cres with the island of Losinj. Swimming and fishing are forbidden in this lake because it has been the source of drinking water since 1953. Cres is well known for its excellent lamb because of the traditional free grazing sheep. If you are more into fish and seafood, you should also try some fresh fish, shrimps, lobsters and other crabs and shells prepared in many different ways. After the visit proceed to Losinj to stay at Hotel Apoksionem. Today is reserved to visit Losinj Island – the island of wellness and vitality. During the tour you will see the fabulous Aromatic garden – a nursery of the island medicinal herbs in Mali Lošinj. Accompanied by a qualified guide, visitors can find out about the rich island flora, the medicinal properties of the island plants and buy an original island souvenir. Rest of the afternoon free for individual visits. Depart from Losinj Island to Zadar by taking the ferry from Merag (Cres island) to Valbiska (Krk Island). 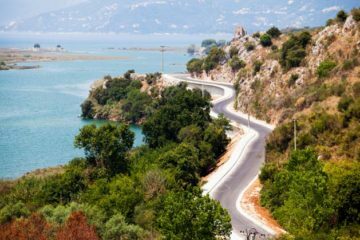 On arrival, you will enjoy a sightseeing tour of the island Krk. Krk City is a fortified town even today, with walls along its entire length of the town you can only enter through four doors. 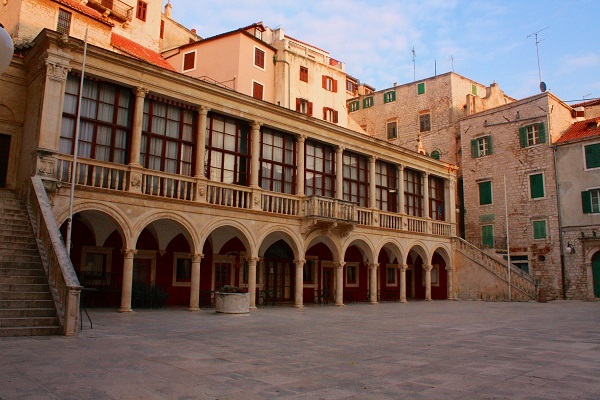 During the tour you will see the three churches in the town of Krk, archaeological locality Volsonis under the main town square, Franciscan and Benedictine monastery, etc. After the visit proceed to Zadar. Meet with your local guide for a visit of Zadar. During this tour, you will realize Zadar is one of the most beautiful old Dalmatian cities, a several-thousand-year-old city that has been the center of this part of the Adriatic coast since Roman times. Today, it is a city with a rich cultural heritage found on every corner. The rest of the day is free for individual activities. Pag is a dry and rocky island in northern Dalmatia known by gourmands for its sea salt and cheese. The wind blows the sea’s powdery salt across the shrubs of the land that the island’s sheep consume, resulting in particularly flavorful milk which makes extraordinary cheese. Pag’s cheese is a delicacy. After Pag return to Zadra. On the way back we will make a stop in a charming town Nin. The smallest cathedral in the world and the coronation Church of St. Nicholas can be found here, as well as one of the world’s most beautiful beaches. 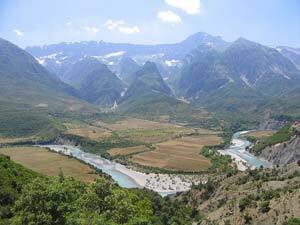 Nin has a rich cultural treasure; nature, as well as remarkably beautiful surroundings. Return to Zadar and stay at Hotel Zadar. 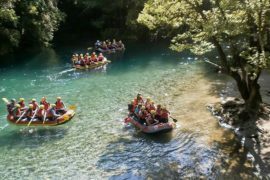 Depart from Zadar and make your way to Zagreb with a stopover for the visit of the National Park Plitvice lakes. Plitvice lakes were included in the UNESCO’S list of world natural heritage in 1979. There are 16 interlinked lakes between Mala Kapela mountain and Pljesevica mountain. After the visit proceed to Zagreb. On arrival, your tour guide will take you through the Croatian capital to visit the historic Upper Town, St. Mark’s Church, St. Catherine’s Church, the Cathedral, the Parliament and the Government Palace, the Croatian National Theater, and the University. Enjoy the rest of the night to relax and enjoy dinner in the city.